Just weeks ago I got to meet the famous Bob Weir at Knott’s Berry Farm. 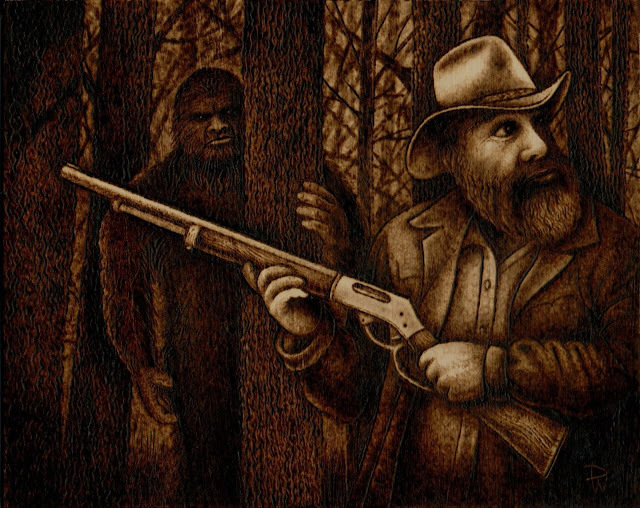 No – not this Bob Weir. 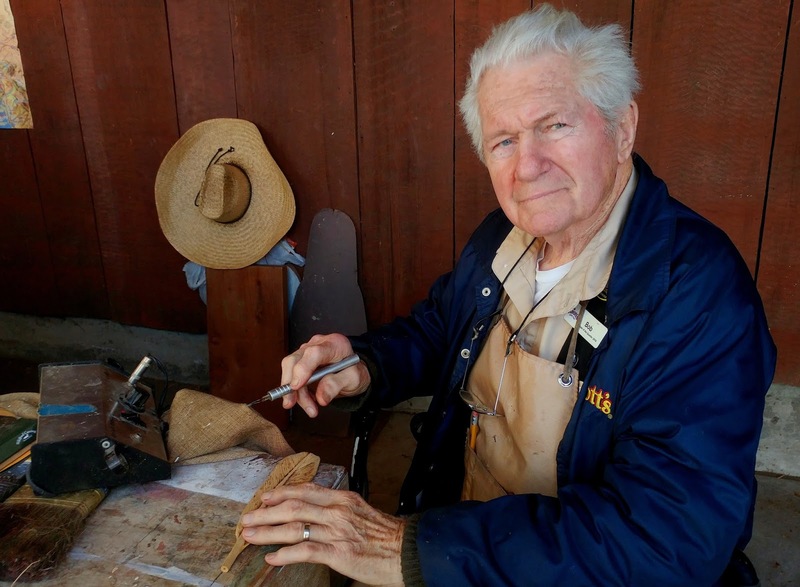 But this Bob Weir, who has been featured in Wild Fowl Carving magazine and the LA Times for his skills in carving waterfowl. 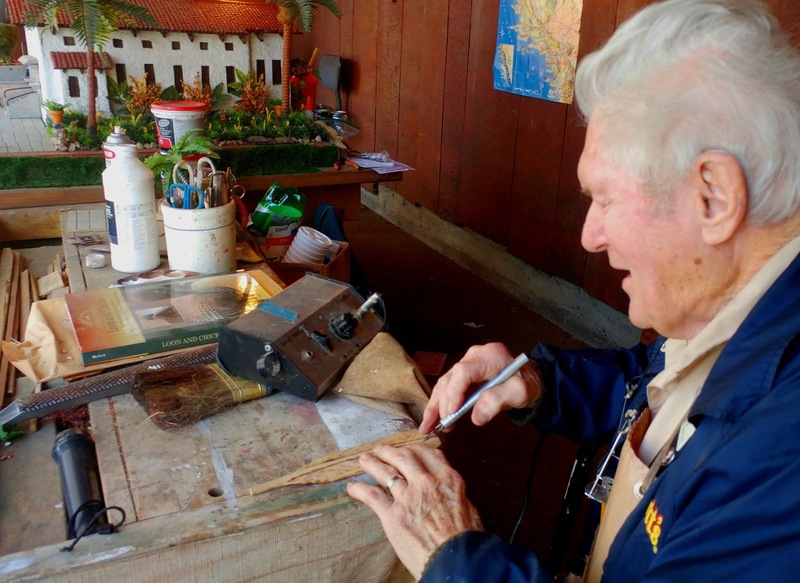 More recently, Bob has achieved even greater notoriety for his expert restoration of famous models of historic California missions that had been part of Knott’s Berry Farms’ historical exhibits for decades.You can read about it, and see his amazing work HERE. As fascinated as I was with his woodworking on the detailed models, I caught him doing something I was far more familiar with. He was burning. 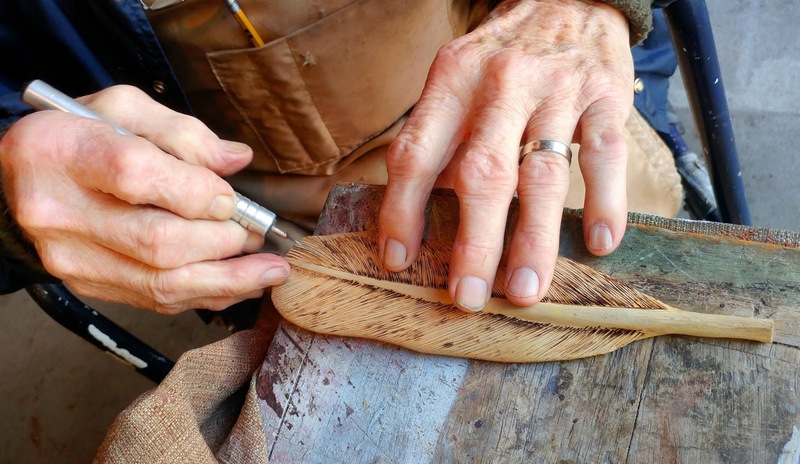 He had a wooden feather (no doubt, one that he himself carved), and he was detailing it with a woodburning pen. His chosen tool was an old Detail Master Excalibre. (Incidentally, I cannot find anyone that sells the brand anymore, which was once made by Leisure Time Products in River Grove, IL which appears to be out of business.) The feather was intended as part of a graduation gift for a certain young woman in his family, something which has become a traditional gift for him. If you’re ever in Knott’s Berry Farm, please admire Bob’s amazing restoration work, and then watch him in action at his booth in the park. He’s a friendly guy, and is always happy to talk to visitors.